I have a cardoon and an artichoke growing in my veg patch plus two more artichokes in other parts of the garden, all from seeds. 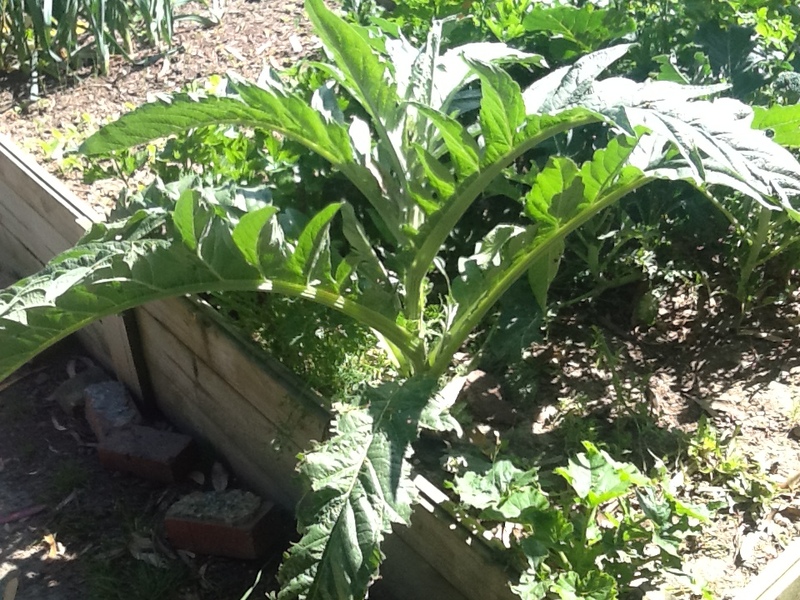 I have never grown cardoon before and the mature one that I saw in the Dunedin Botanic Garden was almost as tall as me . It is a huge plant so one needs space to plant it.Next season I shall plant it in the ‘ornamental’ section of the garden since it becomes such a spectacular plant. One eats the ‘flower buds’ on the artichoke and the stems of the cardoon. Artichokes are a firm fixture on our menu when they are in season, but I have never cooked cardoon before. I have been collecting ideas and recipes and shall post my favourites once I have either of them harvested and cooked. Presently the plant look similar, both have small flowers buds, so I have to wait and see what the mature plants look like. 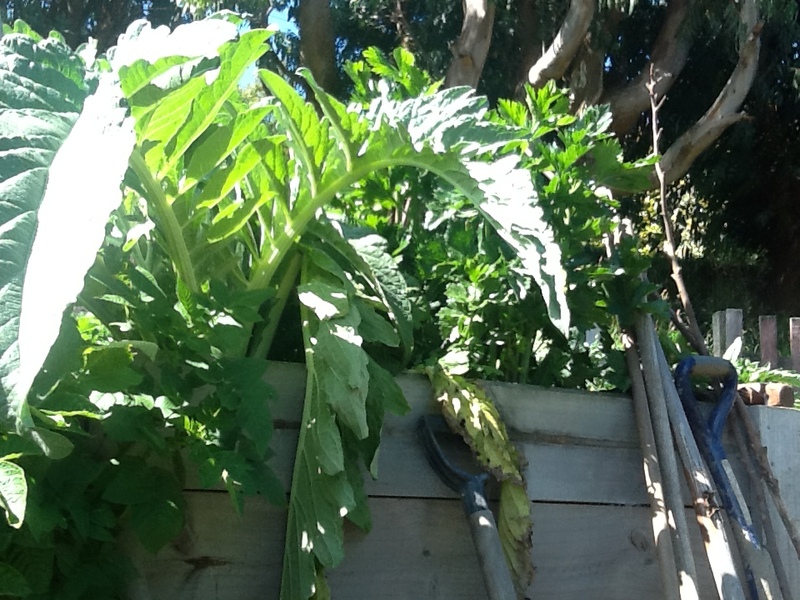 On the left is the cardoon and on the right the artichoke as they are at present.